With just six months to go until the 2017 Bundestag election, this is perhaps the ideal time to reflect on the rather remarkable 2013 election. Perhaps there is also a very fine line between Political Science and Contemporary History, and the German electoral studies community has a particular gift to step exactly on that line without ever quite crossing over? Either way, German Politics (the journal) published a fine Special Issue on the 2013 election in Germany. The articles focus on a number of highly specific research questions: Ben Christian employs the Rolling Cross Section-component of the GLES to study how voters learn to identify what would be the “correct” electoral choice for them over the course of the campaign. 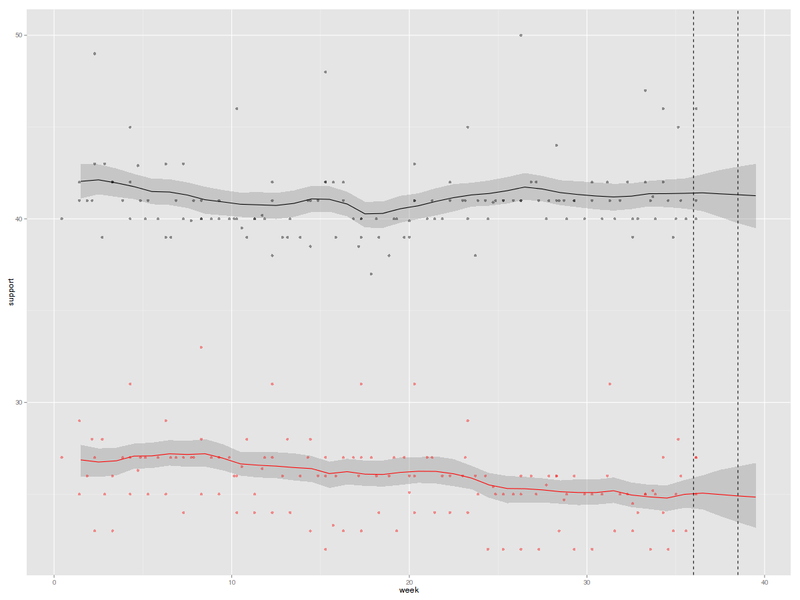 Martin Elff and Sigrid Roßteutscher show that the link between dealignment and party decline (of the SPD in particular) is more nuanced than previously thought. Marc Debus demonstrates that – female Chancellor or not – gender had little effect on voting for the Christian Democrats in recent Bundestag elections. Katsunori Seki and Guy D. Whitten pit various economic voting models against each other. Robert Rohrschneider and Stephen Whitefield show that as far as mainstream parties are concernend, “Europe” is still largely a non-issue in German Politics, even in these troubled times. Sascha Huber looks at motivations for coalition voting to explain the decline of the FDP in the last weeks preceding the 2013 election. Rüdiger Schmitt-Beck dissects the AfD’s 2013/2014 electorate into two groups: euro-sceptics and xenophobes. Heiko Giebler and Bernhard Weßels demonstrate that good campaigns made voters remember local candidates. Finally, yours truly casts another long and dirty look at partisan dealignment, which has almost come to a halt in Germany. And since German Politics is a somewhat arcane journal, you may want to have a look at the nearly identical author’s (pre-publication) version. German Pre-Election Polls: Ms Merkel’s Inevitable Victory? In 335 hours, the campaign will be history, and it does not look good for the opposition parties. 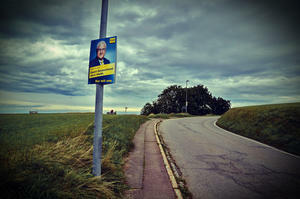 Last Sundays’ televised debate between Merkel and Steinbrück – aka the Duel – was widely considered a very civilised draw. 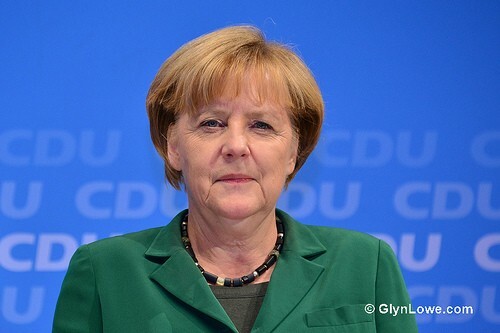 Merkel is not good at debating. Her answers were long-winded and evasive, but she managed to score a few points. Her gaffe-prone and sometimes foul-mouthed challenger carefully tried to avoid digging himself into yet another hole but consequentially lacked a bit of his usual zest. 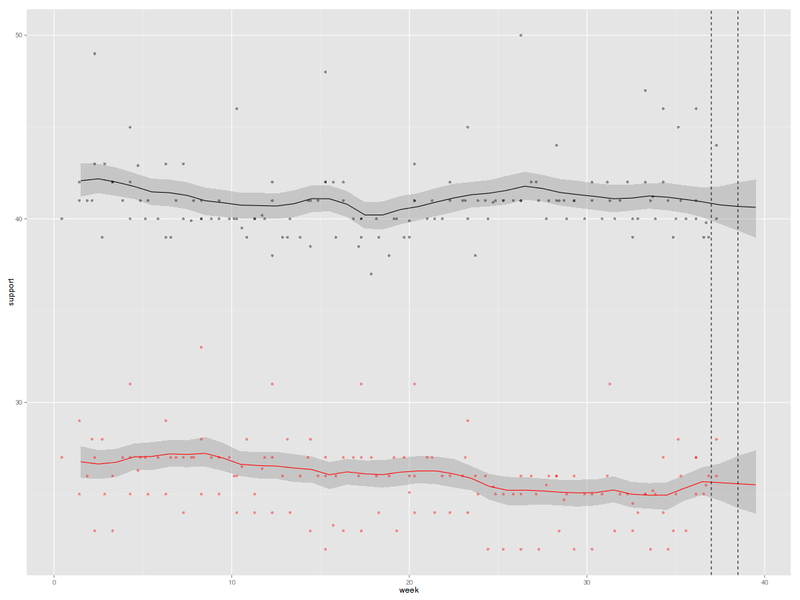 The SPD claims that Steinbrück’s ratings amongst the undecided raters have improved, but by and large, the debate was clearly not a game-changer. Similarly, Syria remains a non-issue, as basically everyone who is anyone says that we don’t want to be involved in what ever military action the US might stumble into. This round brings five new polls: two from week 35 that were conducted just before the debate, and three for which respondents were interviewed from Monday till Wednesday. 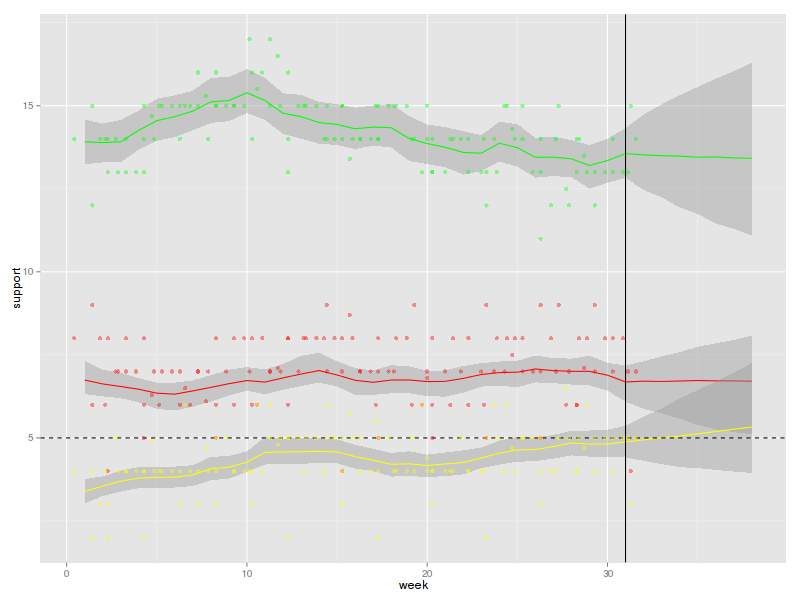 After factoring them in, the model still predicts essentially no change for the two major parties. Both have been stable in the range of 41 per cent (CDU/CSU) and 25 per cent (SPD) for a while now and are not expected to move over the next two weeks. 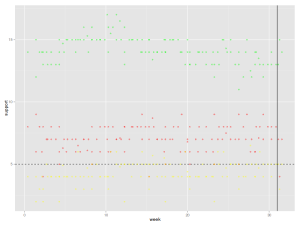 One important qualification applies, however: The model assumes a constant trend since January as well as constant variance (on the latent scale). 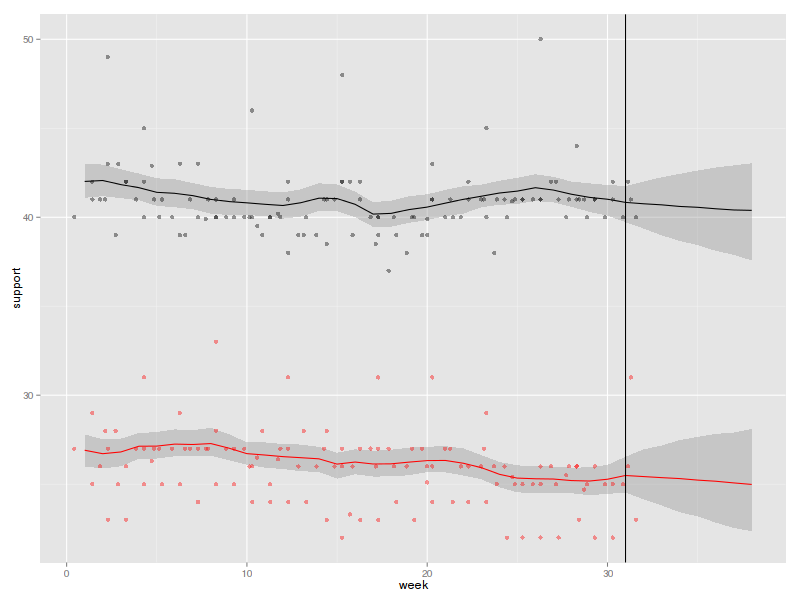 Campaign/reality-induced shocks to the parties’ latent support may well be bigger than what is implied by these two neat normal distributions. But I don’t really believe it. 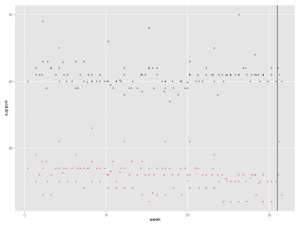 Findings for the smaller parties are more interesting. Both the FDP and the Left continue their respective slow ascent. The Left is safely above the electoral threshold, and it seems highly likely that the FDP could enter parliament under their own steam. If tactical voting by CDU supporters is factored in, it is virtually guaranteed that there will be an FDP delegation in the 18th Bundestag. The probability of a viable majority for the current coalition is now 84 per cent (basically unchanged from 85 per cent last week). If tactical voting is taken into account, the coalition looks almost unbeatable at 97 per cent (up from 94). The probability of a red-green majority is constant at zero per cent. The probability of a (politically unviable) red-red-green majority is estimated at 16/3 per cent (with/without tactical voting for the FDP). In line with previous posts, I assume that the SPD would in this case favour a Grand Coalition with a probability of 90 per cent. That brings the probability of a third term for Merkel (aka the Merkel-O-Meter) to a new high of 98.4/99.7 per cent. As always, these figures should be taken with a giant pinch of salt, but it seems safe to assume that a change in government (let alone a change of the CEO) is really very unlikely. 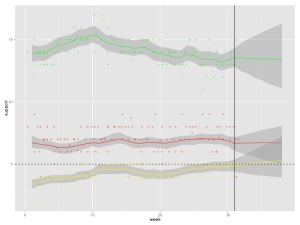 In short: yes, but … The three polls from week 36 see the Greens at 9, 10, and 11 per cent respectively. 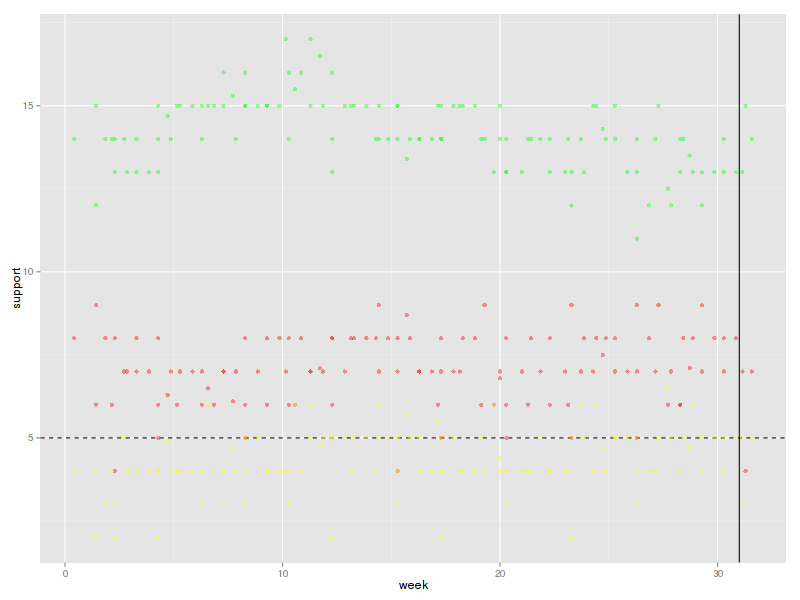 The model says that 11 is realistic but points to a slump of two per cent or so over the last month. Looking back, it would also seem that ratings of 15 per cent and more were hardly ever realistic. The party is going from sky-high figures to a share that is still very good. 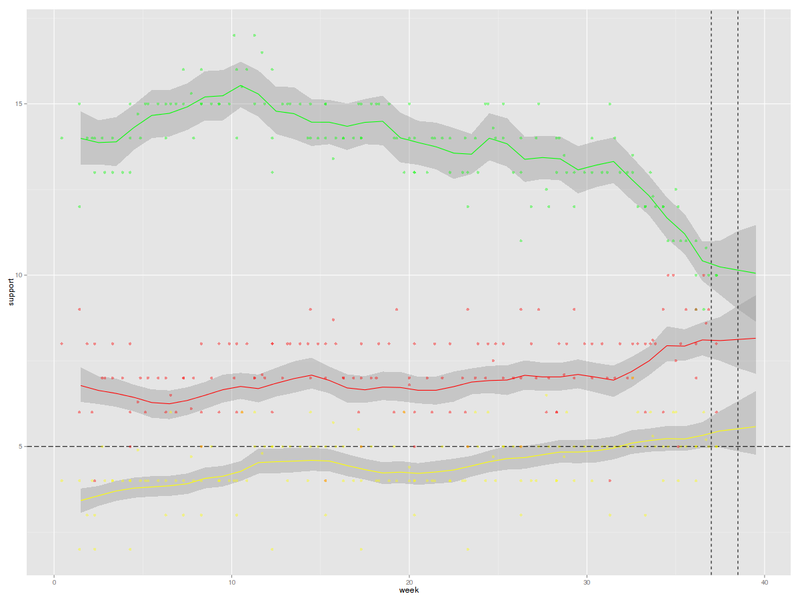 If the model is right, it is also highly likely that the Greens will be the strongest of the three smaller parties. 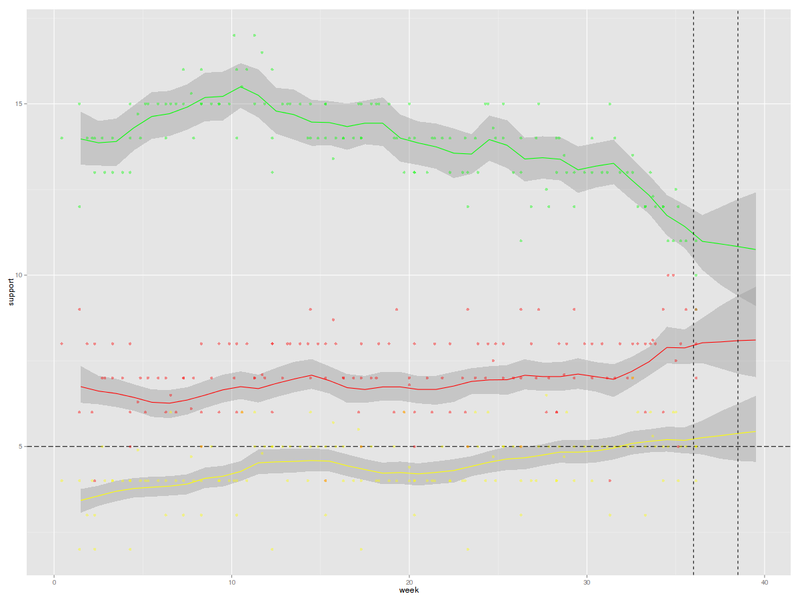 Jürgen Trittin’s recent claim that the party would bounce back just before the election, however, seems over-optimistic. And they would have to bounce a very long way to make a red-green government viable. A year ago, the Pirates looked set to enter parliament, and in March, the newly founded eurosceptic AfD began to make waves. The model lumps these and all smaller parties together in a single “other” category, since none of them has polled five per cent or more over the last eight months. 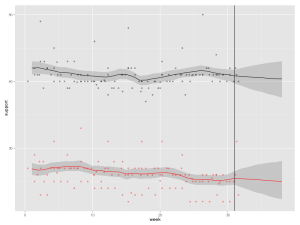 Over the last week, the AfD has repeatedly claimed that their true level of support was in the double digits. They capped off their PR campaign by offering Angela Merkel coalition talks. How do you spell delusional? We all know that extremist parties are often underestimated as a result of social desirability effects. But hardly anyone has so far claimed that the AfD is extremist. And a gap of at least six percentage points would require a level of stigma that makes you wonder how the AfD leaders see themselves. Just for the fun of it, I have amalgamated 40 per cent of the simulated “other” votes into support for a single party, which seems generous (there are about 30 other parties, most of them tiny). The chance of such a party to overcome the electoral hurdle is 0.5 per cent. However, if one of the smaller parties did indeed enter parliament, that would almost certainly force a Grand Coalition. 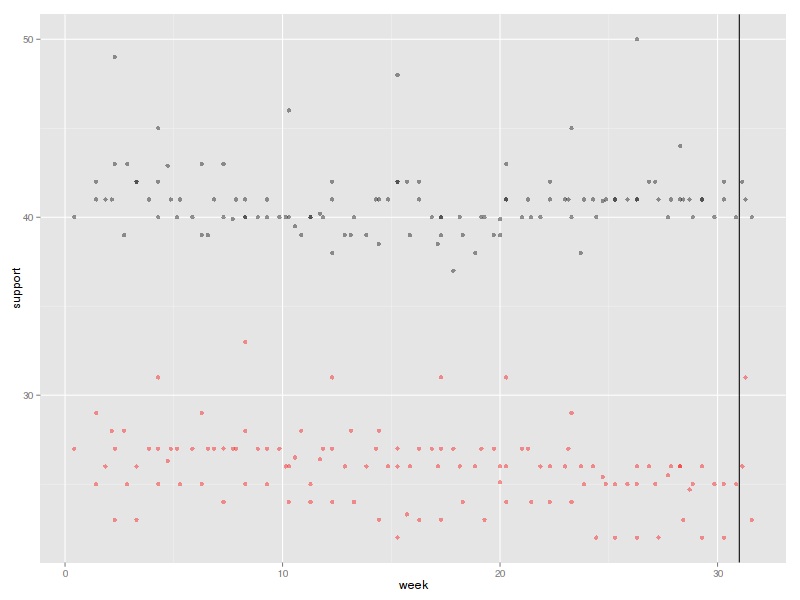 My model is likely to be misspecified, plus there could be a lot of last-minute movement. Stay tuned to see me fail when I come back next week with new evidence.